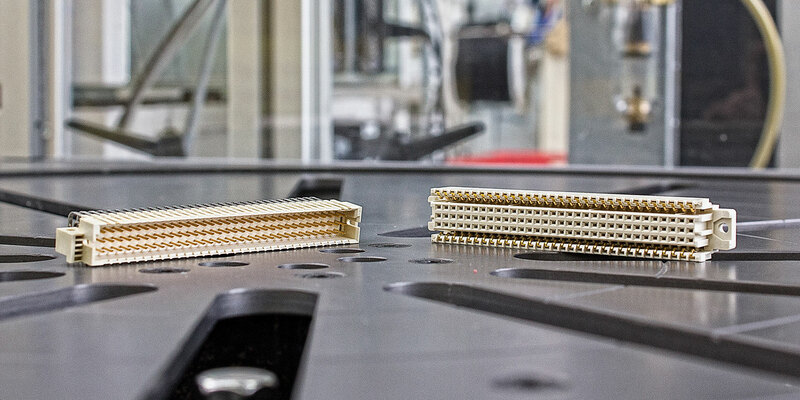 The DIN 41612 PCB connector has proven itself millions of times as a tested classic for connecting circuit boards and backplanes. 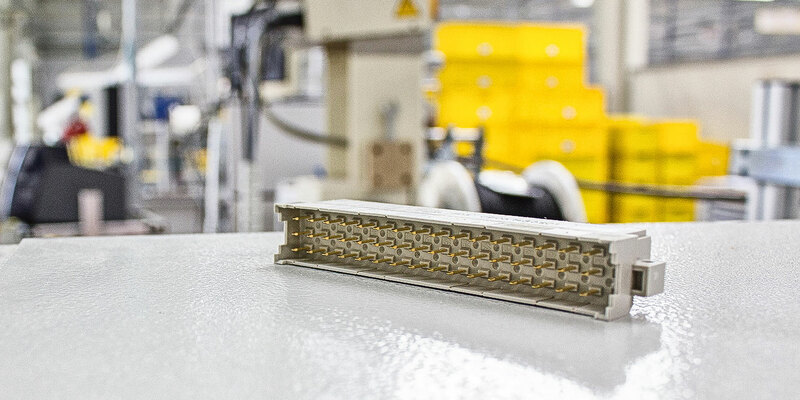 At HARTING, classic doesn't mean old, but rather constantly evolving and optimised for our customers. Reliable, robust and tested a million times over – our DIN41612 PCB connectors and their variants are constantly being improved and advanced to meet the requirements of our customers. The three large families of the DIN 41612 series include the power connectors, the signal connectors and the matching models of the har-bus®64 series. The DIN Power connectors are preferred in applications that require particularly robust connectors or higher currents up to 15 A. This is supported by our wide variety of shell housings and accessories, including full metal versions, which guarantee the necessary robustness and ensure a continuous shield from the cable into the rack. The DIN Signal male and female connectors feature a constant pitch of 2.54 mm. This ensures a relatively high contact density as well as the necessary robustness. That is why the DIN Signal connectors are the best choice for applications with stricter vibration or ruggedness requirements. They have proven themselves in machinery construction, automation technology and railway applications as a particularly reliable solution. Guodian Nanjing Automation Co., Ltd. focuses mainly on power grid automation. 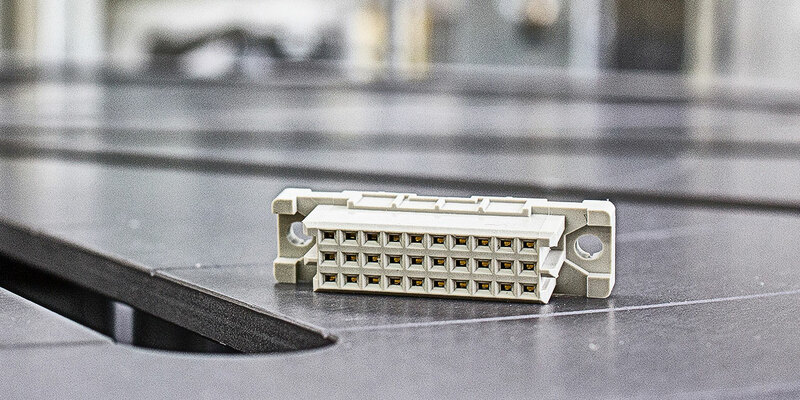 Since 1980, we established partnership with HARTING and has been using the backplane connectors from HARTING. In the last 30 years, HARTING has offered us many excellent products with quality assurance. I hope that Guodian Nanjing Automation Co., Ltd. and HARTING will cooperate further in the future. Let’s contribute to China smart grid and cater better products and services to the industry together. President of R&D Institute, Guodian Nanjing Automation Co., Ltd. The har-bus® 64 connectors are designed for use in VME 64x applications. They are 100% forwards and backwards compatible with DIN 41612 type C. This enables the system to be extended by two more rows without having to rework all daughter cards.